If you look in the mirror and do not like the smile you see, it may be time to call an orthodontist. Not only do crooked teeth or a poor fitting smile not look aesthetically pleasing, but the teeth are harder to clean, more susceptible to periodontal disease and tooth decay, and can actually lead to headaches. That is why it is essential to get your teeth fixed as soon as possible, and the best way to do so is by visiting an orthodontist. University Dental is home to the best orthodontist in San Diego, and are ready to get your teeth and smile looking great! What Conditions do Orthodontists Treat and Require Orthodontic Treatment? Orthodontists can resolve a wide variety of teeth and mouth issues with state-of-the-art orthodontic treatment. 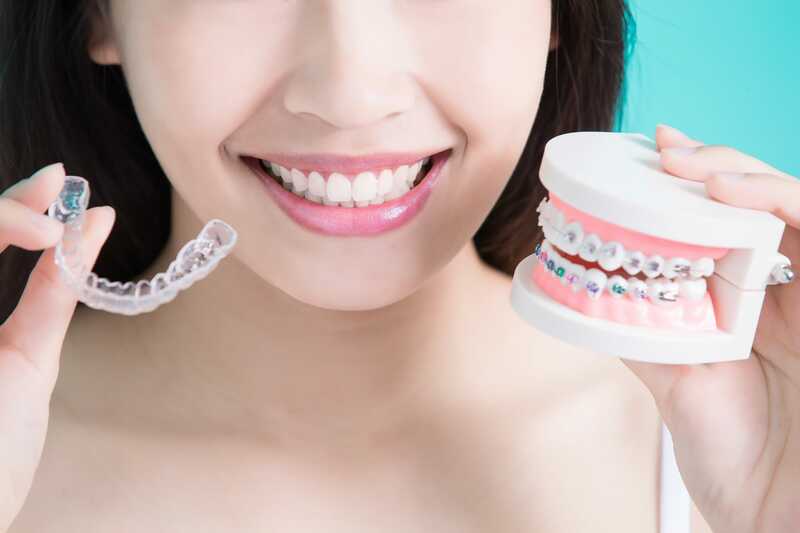 Our expert orthodontist will bring you in for an examination and use a variety of tools and our expertise to determine if you have any of the following conditions. Teeth spacing issues are when there are spaces and gaps between the teeth. These gaps can be a result of losing a tooth or if a tooth never fully developed to fill up the mouth. Teeth crowding is when the number of teeth is too much for the dental ridge to handle. This can lead to the teeth pushing against each other and creating teeth that are on uneven levels. An overbite is when the top front teeth stick out over the lower teeth. Also called “buck teeth”, the teeth jutting out too far forward requires orthodontic treatment. An underbite is when the lower teeth jut out farther than the top teeth. This “bulldog” appearance can be a result of the upper teeth being too far back or the lower teeth being too far forward. A crossbite is when the upper teeth fail to come down slightly in front of the lower teeth during a normal bite. A normal bite should have the upper teeth slightly in front. An open bite is when there is a space between the front or the side teeth and the biting surface when the back teeth bite down together. A misplaced midline is when the middle of the top front teeth do not line up with the center of the teeth below them. If you suffer from any of the above conditions, you likely need orthodontic treatment. The expert orthodontist at University Dental will determine the very best plan to get your smile looking great. We offer a variety of different orthodontic treatments, including braces, Invisalign, retainers and more. After a detailed examination of your teeth and a one-on-one consultation, we will determine the best option for you to get the results you want. University Dental in San Diego has an expert team of dentists ready to get your teeth healthy and looking great. Whether it is something as simple as a dental exam or complicated oral surgery, University Dental is ready to help. If you need orthodontic treatment or want your teeth examined, give us a call at (619) 582-4224.